Buyers may be able to pay for eBay purchases using Apple Pay beginning this fall, eBay announced this morning. eBay is making a change to how buyers pay for goods, replacing PayPal with Adyen as its primary payments processing partner in a phased rollout beginning in the second half of this year. Buyers will still be able to use PayPal, but they will begin paying eBay instead of individual sellers. eBay sent an invitation to sellers last week inviting them into a beta test its new payments system that begins in September – you can read more about the invitation and sellers’ reaction on the EcommerceBytes blog. As eBay begins to manage payments on its Marketplace platform, Apple Pay, an easy, secure and private way to pay, will be among the first forms of payment offered in its new payments experience. Earlier this year, eBay announced it will manage the end-to-end payments flow on its platform to further simplify and improve the buying and selling experience. The company is on track to start managing payments on a limited scale in the US early this fall, at which time buyers will be able to use Apple Pay to purchase items from sellers participating in the initial phase of the new payments experience. Using Apple Pay on Apple iOS and Safari, consumers will be able to check out on eBay via the app and mobile web. In a rapidly changing and competitive ecommerce landscape, shoppers expect to be able to both shop and checkout on the site on which they transact. 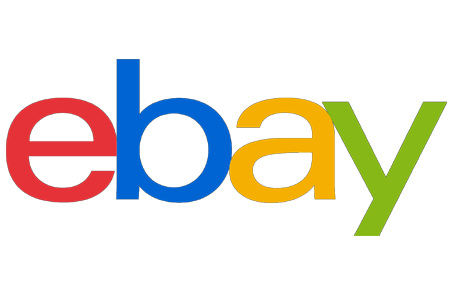 As eBay manages payments, shoppers will be able to complete their purchases within eBay. The company’s payments initiative is expected to deliver value to customers through an improved shopping experience, enhanced selling tools and streamlined costs. “Managing the end-to-end payments experience on eBay’s Marketplace is a key initiative for the company. As we expand our new payments experience over the coming months, we look forward to offering our global customers many other forms of payments on our platform,” Fisher continued. eBay will continue to expand its payments initiative in 2019 and expects to have transitioned a majority of its Marketplace customers to its new payments experience by 2021. As the company scales its new payments experience to include more volume in more geographies, Apple Pay will be available to more customers, on more items and in more regions.